Remember Woodstock! 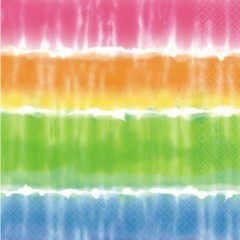 Think tie dye when you are decorating your table with our Summer Love paper goods pattern. Summer Love is a great choice for a 60's party or for a party with a California surfing beach theme. Our Summer Love lunch napkins are sold by 16 to the pack. Please order in increments of 1 pack.